Halloween wasn't much of a holiday when I was a child - we did have a few parties; but there weren't really costumes and stuff. 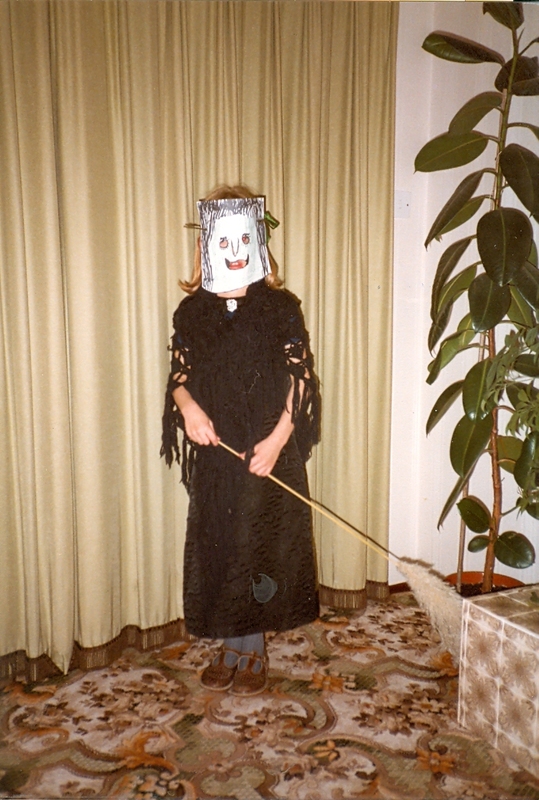 This is me aged eight dressed as a witch; I think that I probably must have drawn the mask myself (!). If you could go back and dress up as something what would it be? I think I'd go with the witch again, but just do it a bit better! This is as near as I have of a photo of me in a Halloween costume as an adult (ish). 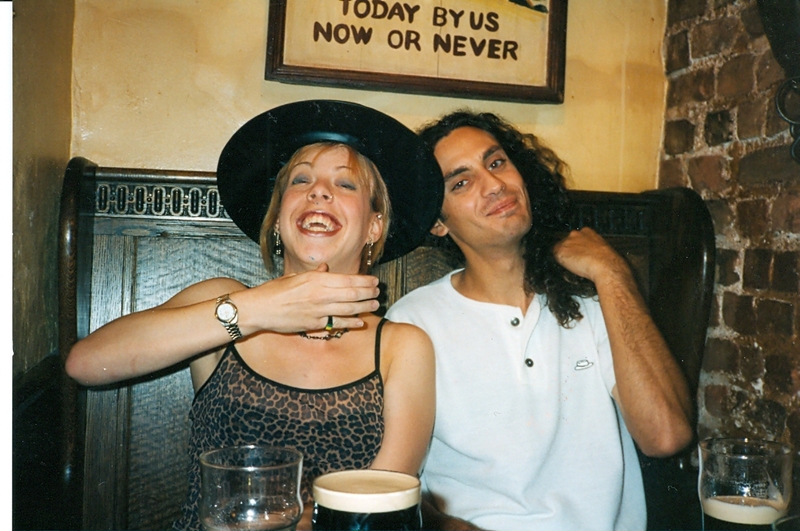 This is from my University days! I did once go to a Halloween Party dressed as Marilyn Monroe (see below) I made the dress myself out of white swing bin liners. It was about fifteen years ago when smoking was still allowed in pubs, and my dress was set alight by a cigarette and withered. Lucky I was wearing a gym outfit underneath! A friend once bought me back some candy corn from a visit in LA. Probably the only real Halloween candy I've ever had. I liked it though. Pumpkins! I love pumpkins! Every year I carve pumpkins... I'm getting more ambitious. I now have to pumpkins every year. One for a traditional Jack O'Lantern and one for art work! I don't really do scary movies... in fact I've seen very few horror movies. I think I'd have to go with the 'Scary Movie' series as they are funny and not too scary!